Lot:31065 CANADA. Dominion Bank. 5 Dollars, 1938. CAD2202802. PMG Choice Uncirculated 63 EPQ. CANADA. Dominion Bank. 5 Dollars, 1938. CAD2202802. 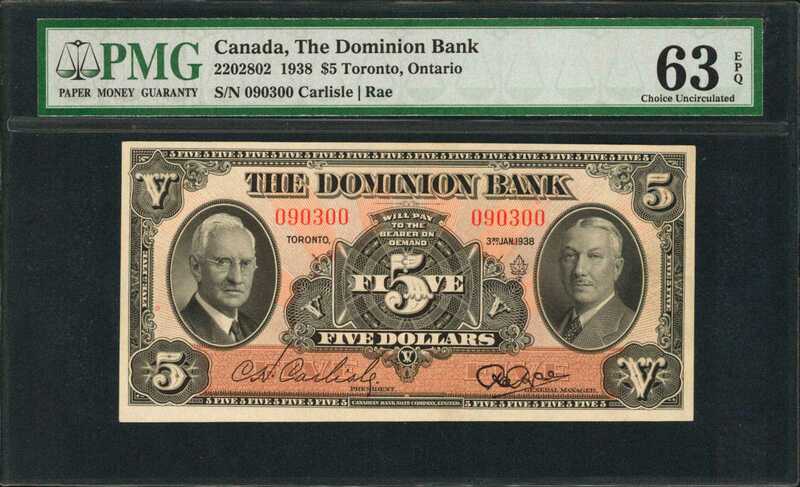 PMG Choice Uncirculated 63 EPQ.Nice color and full originality observed on this 5 Dollar note from Toronto.